Canada is home to some great bud, particularly in BC. Big cannabis companies are creating a buzz ahead of legalization, but there is still room (and a need) for micro-cultivators to enter the market. Daily Hive spoke with Travis Lane, founder of Levity Solutions, a partner at Groundwork Consulting, and director of the BC Independent Cannabis Association, about the application process for micro-cultivation, as well as the risks and nuances of pursuing a license. Health Canada rolled out a subclass of licenses for micro, standard, nursery, and hemp cultivation. Micro-cultivation will allow producers to grow cannabis within a 200 200 m²/2153-sq-ft area that contains all parts of the plant within that threshold. The requirement also pertains to vertical farming. There is no limit as to how many micro-licenses an individual can hold, nor are there restrictions on having adjacent micro-sites, but they will be subject to municipal zoning bylaws. Micro-licenses will be issued once cannabis legalization comes into effect on October 17. According to Lane, the licensing process is not all that complex. “The biggest barrier appears to either be security screening, or the security plan around the facility,” Lane told Daily Hive over the phone. According to Health Canada’s regulations, a previous criminal record will not specifically or automatically exclude an individual from participating in the legal cannabis market. However, the security requirements prevent anyone with a previous controlled substance offence within the last 10 years from holding a senior position within a cannabis-affiliated company. Security regulations require perimeter fencing, so individuals will need to expend the money to put in proper infrastructure. Post-licensing, Lane sees bringing the product to market as a big adjustment, by having to comply with the government’s quality assurance standards. On the other end of the spectrum, Lane says you could easily invest $500,000 into a subdivided operation with 130 lights, integrated climate control, data monitoring, and so on, even expanding into the million-plus range for multiple licenses. 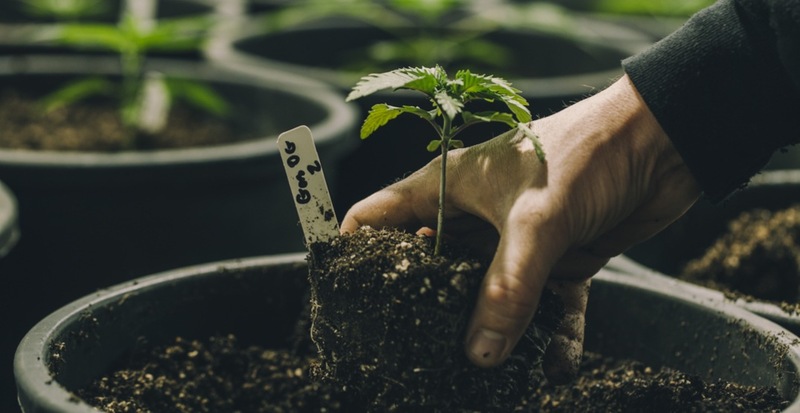 Lane suggests that micro-cultivators consider acquiring a nursery license, which will allow for perpetual flowering and cultivation. A nursery will need to be on a second site, so license-holders can subdivide their property or acquire a nearby property to set up the nursery. By taking the vegetative period offsite, cultivators can maximize their flowering space by using the whole area for flowering plants, and changing them out once they have been harvested with plants that are ready to flower. “It’s key to differentiate yourself,” says Lane. This can be done through things like the cultivars (strains) grown, limited or seasonal release of product, company personality, and community presence and responsibility. “It’s important to really make it a personal story about methodology. If I’m a micro-cultivator, and I’m growing organically, and I’m hand-trimming, and I’m cold curing – which are all things that I do personally – I would like to put that on my label and I would make that an important part of my brand identity,” says Lane. Lane compares this to what we see in the craft beer market and hopes that BC’s regulations will open up to support the craft cannabis community, as it has done with alcohol. Currently, there is no onsite consumption or onsite sales, and growers are not allowed to carry their own product in their cannabis retail stores. With the rise of cannabis tourism and an interest in the craft market, Lane hopes to see a positive change in the regulations which will help micro-cultivators compete with larger corporations, much like we see with the beer and wine industry. Other keys to success, according to Lane, are innovation, unique cultivars, and not overspending early on. “They need to be trim and make sure they’re doing everything effectively. Approach it the way you would any other small business startup – even if you’ve been doing it for a while, even if you are a long-time grower – you’re starting a new business,” says Lane. “My first advice would be to go and get two or three different quotes from different firms and compare pricing,” advises Lane. Ask for references and follow up with them to get an accurate understanding of the company you’re looking to work with. Lane also suggests that for people looking to set up a growing facility, seeking out a grower who understands quality assurance within a grow room is an asset.